I just wanted to take a minute to tell you about 2 of my favorite educational shows for pre-readers and early readers. Word World and Super Why on PBS. I like the fact that both of these shows use phonics to teach kids how to segment and blend words, teach concepts of print, teach sentence structure, as well as teach cause and effect. There are many other great aspects of these shows too, most importantly is the fact that my kids find them entertaining. I hope that you and your family will enjoy them as well. 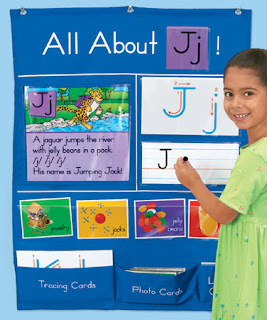 Starfall.com is the best website I have found for students who are learning to read, and early readers, and it is FREE! Yes, free. I still can't believe that with all the work the creator put into it that they do not charge for it...but I will not look a gift horse in the mouth. I have been using this website in my classroom for the past seven years and have seen marvelous results. The best thing about it is how engrossed my students are in the content! I could tell you all about the content on the pages; however, I feel that checking it out for yourself is much more effective. I have had a lot of students who came to see me for reading support in kindergarten because they were having difficulty with their phonics skills (the sound written letters make). The main cause for their difficulty acquiring this new skill seemed to be that they were not ready to tackle learning phonics, hence we needed to back-track. 1. The child must have a good grasp of phonemic awareness (the concept that spoken words are made up of sounds). One easy way to test this is through some oral games. Ask your child what sound starts the word cat? What sound is at the end sit? If they show that they are able to hear single sounds within a word, they have one of the skills they need. 2. The child should know the name of each letter in the alphabet, and be able to recognize and name them out of order. 3. The child should have a basic understanding that letters around them make up words, words mean something, and an interest to know what those words are. If your child has mastered these skills, he/she is probably ready to start learning phonics. I suggest starting at the very beginning and teaching that each letter has a sound (no combos yet). Stick with individual letters and not words with combination sounds like "ea" or "sh."